So glad that the figs are back in town! 30% of sales will benefit the Tewksbury Historical Society, which maintain this pretty little rural village. And it is a great excuse to go apple picking at the local farm and enjoy the last of our fall sunshine. I also have work in the portfolio sale and small works sale along side the main juried exhibit, so maybe you can also get a jump start on your holiday shopping too. 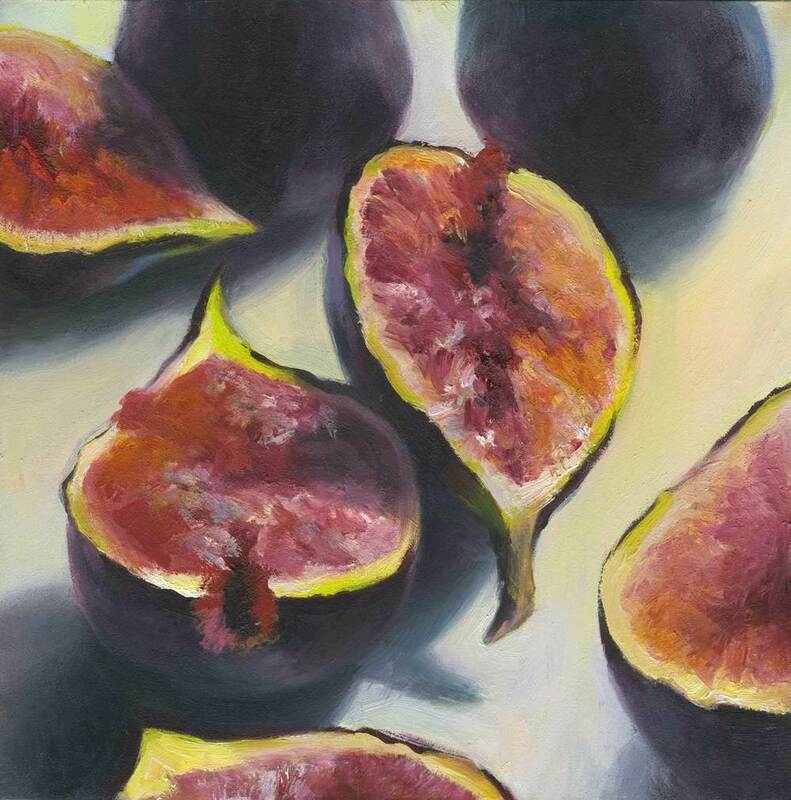 These fig paintings from earlier this year have all been munched!